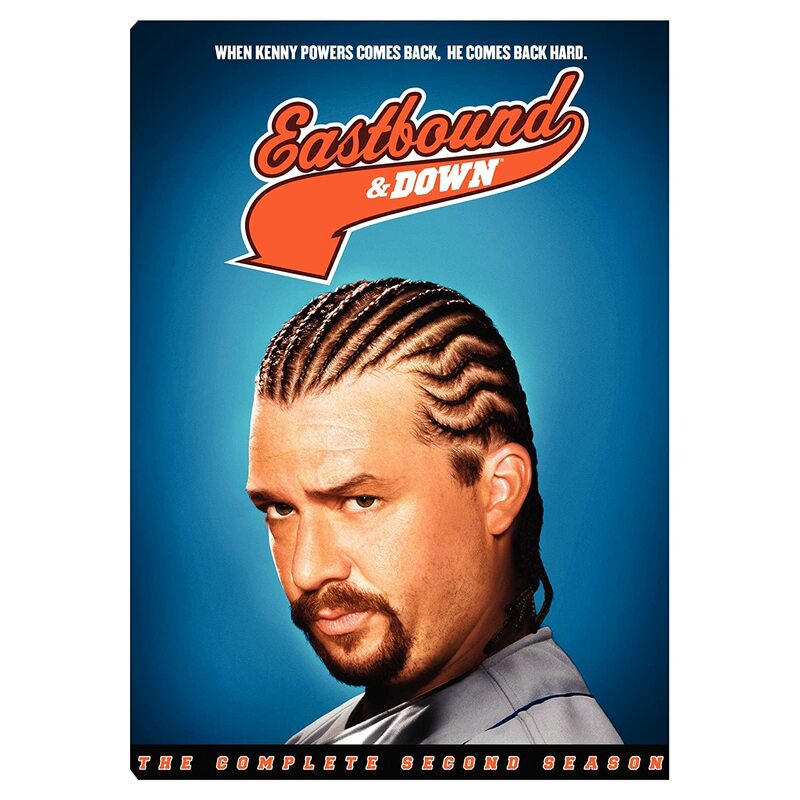 Quick Take: Eastbound & Down, "Chapter 9"
Review: Eastbound & Down, "Chapter 9"
(S0203) The best Eastbound and Down episodes from Season One were those directed by David Gordon Green. That's not to put down Adam McKay or Jody Hill as both did an admirable job themselves, but Green provided a little more stylistic panache to a show that, at its heart, should be nothing more than a lewd comedy about a scumbag, washed-up baseball player. That visual style was apparent tonight in Green's return to the series, especially in the closing shots of Kenny, Vida, and Tony riding a roller coaster crosscut with images of other happenings at the Mexican carnival. There was something beautiful about this scene and it was made all the more intriguing as only a few scenes earlier, Kenny was blatantly talking about ejaculating during a dinner with Catuey's family. The Green-directed episodes have quite a few of these peaks and valleys of moral degradation. Kenny, on the other hand, was all peaks this episode. His quest to be loved by all of the residents of Copales (I love the fact he calls them "villagers") was finally achieved. And all it took was an old-fashioned bench clearing brawl to get them behind him (and the Charros). After the game, a child approaches him for an autograph and calls Kenny "The White Flame." Kenny prefers to be known by his all black outfits, which are more indicative of his rebel persona, but it seems that nickname might catch on quickly. His love life is also improving. He takes Vida to Sebastian's yacht party and despite the fact that Ana de la Reguera is painfully attractive and Danny McBride looks like Danny McBride, the two characters start a relationship. When Kenny meets Vida's son, Tony, he is at first dismissive. Eventually, though, Kenny decides he wants to commit to Vida, even if that means he will act as a father figure to Tony. Stevie's own love life is on the rise as Catuey's sister-in-law appeared to be overcome with passion at the sight of the shirtless Stevie working on Kenny's Denali. He didn't make any moves yet, but the heat is, as Glenn Frey might say, on. Of course not everything is sunshine and double rainbows. Aaron returns with word that he found a mysterious Eduardo Sanchez, someone that Kenny has apparently been looking for since he came to Mexico. In truth, Aaron was just swindling Kenny out of $40 as he didn't actually have any information, but I'm definitely intrigued as to who Sanchez is and how long it will be before we get to actually meet him. And yes, I'm hoping he's played by Danny Trejo. Still, even getting robbed by Aaron doesn't seem to phase Kenny. He's on top of the world, at least in the sense for someone who cowardly ran away to Mexico. Next week's episode, though, looks like it's beginning to map out some darker storylines. The question is, how long can el llama blanca stay lit? Stevie in a thong is something to behold, just not in a good way. I loved the ridiculousness of Stevie handing over the $40 to Aaron inside a pillowcase, like it was some huge drug deal or something. Kenny and I agree wholeheartedly on 3D television. "Nobody wants to sit on a couch, wearing glasses, popping bubbles out of the air like some sort of f--ked up Ray Charles." "Stevie in a thong is something to behold, just not in a good way."